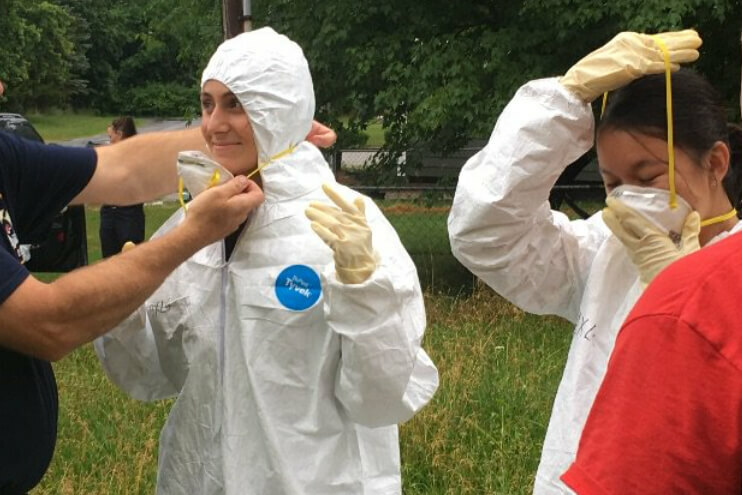 Economics major Christina Casino (left) puts on a hazmat suit as she prepares to assist in executing a search warrant in St. Joseph County. 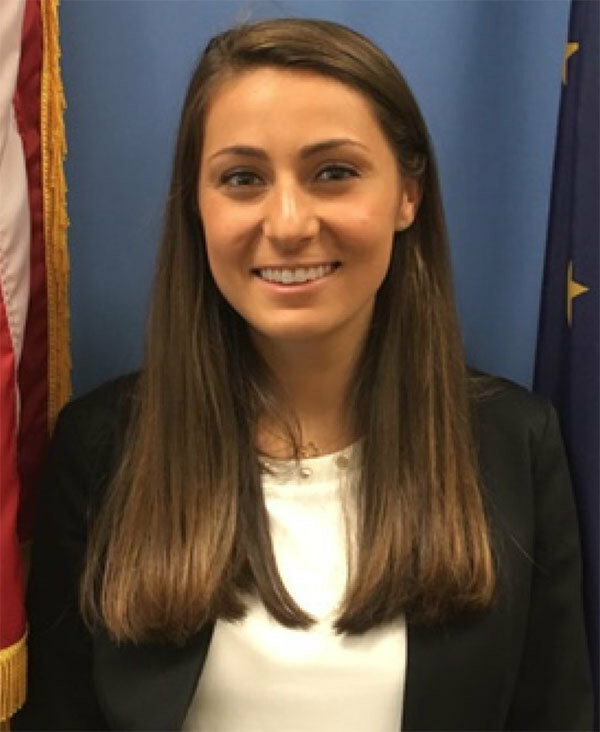 Previously, the internship program operated from the county jail with three Notre Dame student interns. On Friday, Cotter swore in six undergraduates — including four from the College of Arts and Letters — who were chosen in a competitive applicant process to work as interns with the unit. The Arts and Letters students who were chosen this year are economics majors Christina Casino (Stamford, Connecticut) and Julia Gately (Lake Forest, Illinois), political science major Carolyn Kammeyer (Gulf Breeze, Florida), and film, television, and theatre major Brooke Sabey (Seattle, Washington). Sam Alptekin (Darien, Connecticut) and Lexie Van Den Heuvel (Mequon, Wisconsin) were also selected. Alptekin, Kammeyer, and Sabey also have minors in the College of Arts and Letters' interdisciplinary Idzik Computing and Digital Technologies Program. As sworn-in officers, they will carry a badge (but no weapons) when working in the field and have full police authority. Casino also interned in the program last year, through the CDT minor.